In this new age of ministry there are now “one church, multiple locations” and satellite campuses and even “online campuses.” There is multiple-staff and staff-pastors. 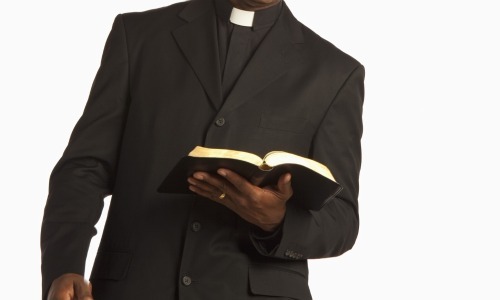 For example, there are Assistant Pastors or Assistants to the Pastor; Pastor of Worship; Pastor of Music; and many churches, when seeking a pastor, look for a “Senior Pastor” not just a “Pastor” with the expectation that the church wants to have a multi-faceted ministry. There’s nothing wrong with that. I’ve had and have currently several individuals on staff. Soon, I’ll be adding an Assistant to the Pastor, Lord willing, to help me in the ministry of the church. I have 13 associate ministers, including one former senior pastor, whose perspective I glean much from. I have Deacons, Trustees and concerned members who help facilitate ministry within the local body – all of this so that the church is not a one-man operation. There is an area I refuse to abdicate. I want to visit the sick. In the African-American Baptist church tradition the visitation of the sick and shut in (which is our words for those who are incapacitated or unable to come to church or sit through an entire worship service) is tantamount in the hearts and minds of the parishioners. In some cases, the Pastor’s work is judged by some people by his compassion for not only those who are present but those who are not in the worship experience. I love visiting the sick. I calendar visiting the sick at least once a week – not all of my members, but a handful and within a month’s time, I usually have visited all of the members of our “sick and shut in list” (Definition: those names of members of the church who appear in the weekly church bulletin). I’m no longer in an urban area – I’m in a urban/rural hybrid – so some of my members are in the immediate area and when they have surgeries or tests, they can be in Lexington (45 minutes), Louisville (1 hour) or Danville (1 hour, 15 minutes), however the distance is worth the drive for me professionally and personally. In addition, visitations sometimes have to occur on a Sunday in emergencies, either immediately before or after my sermon. A member who loves their pastor wants to see their pastor in those difficult places of their lives. There is almost an unspoken expectation that in times of illness, the Pastor is part of the medical team that ministers to the ill. The doctors are vitally important; The nurses and orderlies are very important; But the Pastor is equally important, in my opinion, on the spiritual and mental welfare of the patient. There have been times when doctors and nurses have explained things to a member and they were upset or angry or even violent, but when the pastor is present to help explain or comfort, the patient will calm down. And that moment of prayer with the member helps him or her in ways that are not known by science. A church member will tell you – they want to see their Pastor. When I was a younger pastor, I had a member that I knew did not care for me. Matter of fact, the reason I knew that is one day one, that member talked to me and said, “you’re their pastor, but not mine.” Then the member had to have open heart surgery and made it a point not to tell me about the surgery. The member’s wife told me, with tears in her eyes, “Pastor, please pray for my husband. He’s having surgery the first thing in the morning.” The night before the surgery, I showed up at the hospital, he looked up – absolutely shocked – and we talked and then I prayed with him. When I finished praying, he had tears in his eyes. When I prepared to leave he said, “Pastor, you’re now my Pastor.” He had a successful surgery and during my tenure, he became a staunch supporter. The point is that some members of the church haven’t yielded themselves to accepting the Pastor on day one. But as a shepherd, you have to love on them anyway and then the Holy Spirit will do what a title can’t do. My former pastor, Dr. Johnny Pack, IV, would routinely tell the church every Sunday of the sick visits he made. I didn’t understand it then, but I understand it now. The membership needs to know that their pastor cares about the sick and shut ins. I do this semi-regularly now at my church and there are some other things that I do as well: (a) When out of town for a few days, I make it a point to send my members on the sick and shut in list a postcard from that area. On the card I normally write, “I’m in (city) and I want you to know that I’m praying for you. Love, Your Pastor.” Normally the cards beat me back home, but when I visit the members they thank me for the cards and for thinking about them.” (b) Every now and then, I will send a financial love gift (normally around the holidays). I have very generous members who bless their pastor at Anniversaries, Christmas, Birthdays. But some of the sick and shut ins have no family, get no birthday celebrations, no remembrances at Christmas. In some cases, their siblings are deceased, they have no spouses or children. If God has been good to me, then why can’t I be good to someone else? It’s an investment that has untold spiritual dividends. I am not ready to abdicate this role completely to someone else. Don’t let your mega ministry make you micro when it comes to those who are sick and shut in. This is really good, praise God!